Many of you know that alongside all the festival and cinema screenings we have been doing, we also strive to get the film to all sorts of harder-to-reach audiences who we feel it would benefit. Sometimes it's hard work but it has also been some of the most rewarding work I have done with the film. I grew up in a small town with no cinema, so I know what it's like to be on the outside looking in - so we have been really motivated to get the film to carers, health care workers, social workers and the like. Over 2018/19 we are working to get a really exciting project with the Scottish Prison Service's Learning Team off the ground, where the film will be used as a catalyst for discussion and reflection towards developing emotional literacy and related life skills. In fact, I have been writing a Blog series on this very subject for the wonderful Scottish Documentary Institute website - you can read them here. Here and now though I would like to point you to the two reports produced about all our Bertha BRITDOC Connect Fund outreach and impact work, with our wonderful team of Sally Hodgson and Jen Skinner. Now I know "Reports" doesn't sound gripping, but trust me, these are! If you are in health and social care training, or are a film-maker interested in distribution; if you're an impact producer or you work for a NGO or charity and are thinking of working with film, you will find some very interesting reading here - I promise. Share and pass around, please. This Stroke Association event focuses less on healthcare professional than the Stroke Forum (which I also attended, in November '16) - and more on stroke survivors, their carers, and their support networks. The very wonderful Stroke Association chief exec. Juliet Bouverie and others addressed the room on several occasions, highlighting recent government stalling on addressing stroke provision, demanding a new stroke strategy for the UK (we have 100,000 strokes a year - and we think that's going to sort itself out do we?! ), but the most attention was rightly given to first-hand experiences of stroke in its many forms. I had a very tough few acts to follow with my presentation - former financial planner and all round over achiever (he'd agree I am sure!) Nick Cann had everyone in tears when he concluded his moving speech with a clip of him singing. Nick has aphasia and so struggles to speak and communicate, yet his outlook on life was incredibly positive and he does so much work to raise awareness of stroke. I showed a few minutes of one of our special 'extra' scenes - an extended version of what is in the film - of Mum completing the 'Six Million Women Study with my help. Everyone in the room laughed and cried - exactly as they should do! And then I outlined the outreach work we have been doing and my motivation for it - especially now that I can say - sadly - that both of my parents lives were devastated by stroke. The next day I manned a stall with examples of our See Beyond Stroke resources and DVDs of the film for sale - I met so many incredible people, but I especially wanted to highlight the Aphasia UK network. 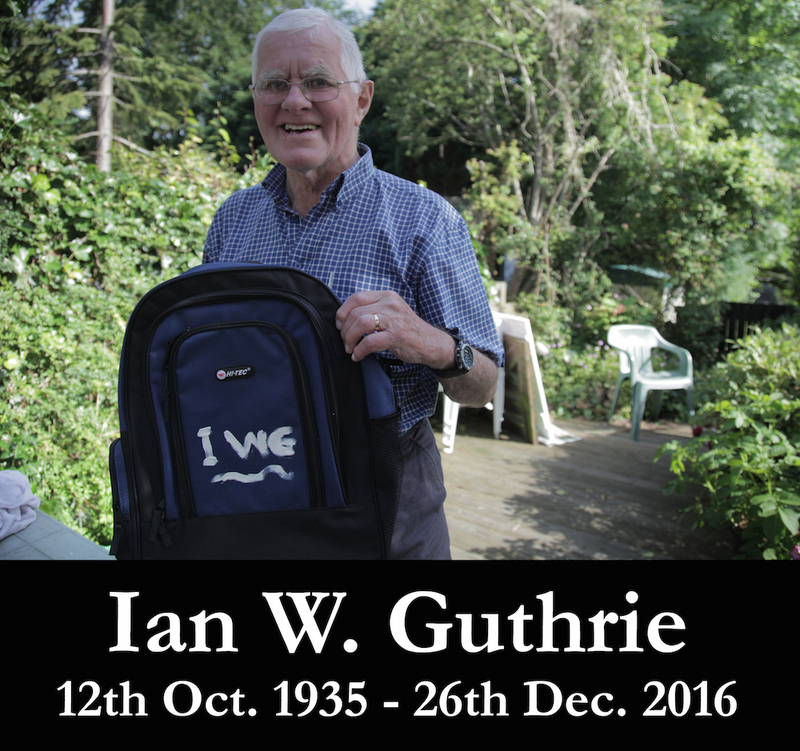 My late Dad Ian's stroke last year gave him severe aphasia, and for the first time I witnessed the effects of this little-understood condition on the mental wellbeing of a stroke survivor. It was so different from my Mum's stroke, which had mercifully left her speech intact, and so to meet people who had lived with aphasia for decades was truly inspiring. From AphasiaUK Leeds branch Mark Chappell hails. Mark works to raise awareness of the challenges of living with aphasia (which he suffers from) and he produces some brilliant videos - he filmed me for this one below which covers lots of the Assembly's activities. Many thanks to Anne Abbott and all her Stroke Association colleagues for welcoming us to this event. 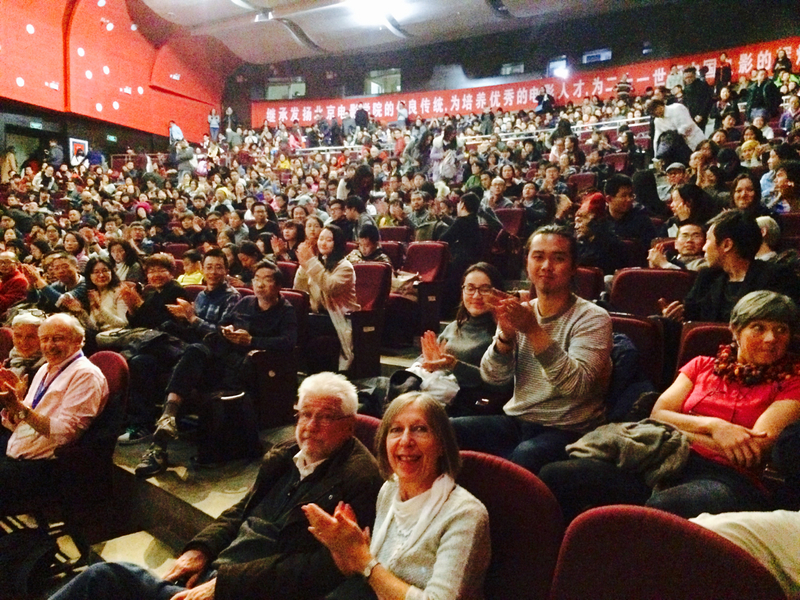 More than eighteen months since our Hot Docs premiere in Canada, I find myself at China's leading film school, Beijing Film Academy, where the brilliant Cherelle Zheng has brought a global selection of docs to an avid Chinese audience of about 300. 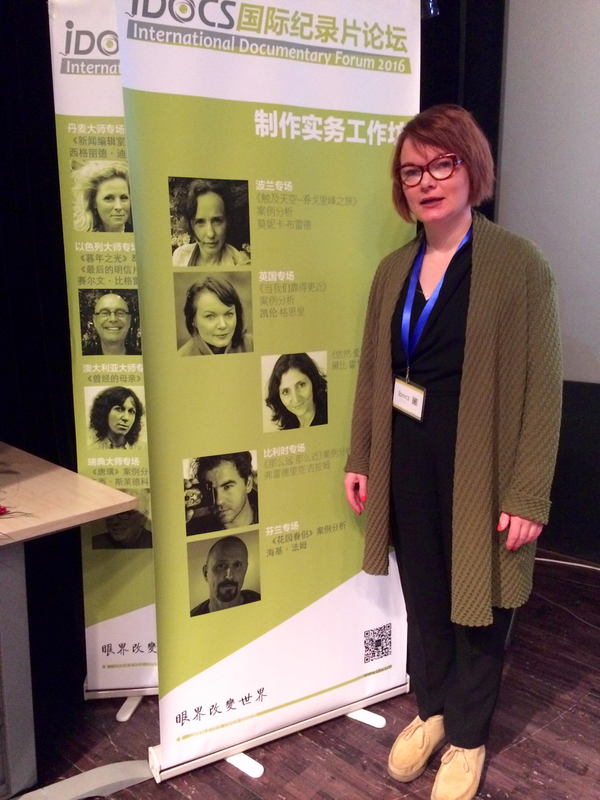 It's a huge honour to be hosted here (and thanks to the British Council for their support) and to bring the film to, and I'm relieved that the Chinese audience laughs and cries at all the same places as every other audience - a testament to Cherelle's brilliant Mandarin subtitling. The biggest guffaws come for my sister Alison, for Dad's '50 years of marital hell' comment, Mum's health questionnaire and - wonderfully - when the ginormous size of Jack the cat becomes apparent in one scene. The questions and comments after are many and insightful, and it's very moving to feel that we are all so connected by our universal emotions about family in all its light and shade. 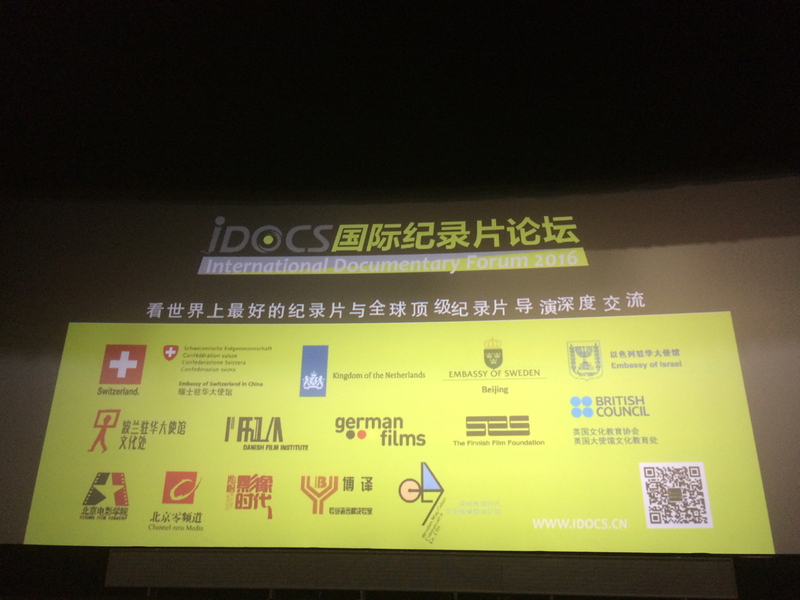 To top off an amazing year with the film, I've now made it to Beijing in China for iDOCS, which is an amazing festival lead by the tireless Cherelle Zheng, that brings leading world documentaries to a Chinese audience, based at Beijing Film Academy. 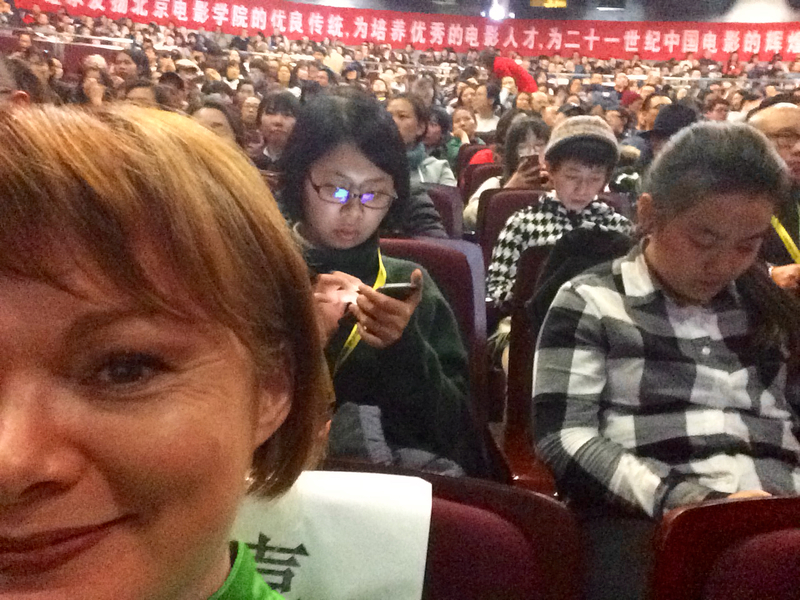 As you can tell from the picture, some of Beijing Film Academy are less excited by this than I am. But to be fair, we were all 'watching' the Opening Ceremony here, and the Israeli Ambassador wasn't even wearing a tie for the occasion. There's an exciting slash frustrating Russian roulette with iPhone / Mac connectivity at all times here, which will make uploading this Post a miracle. An occasional window opens up when you're in a cafe, when for 90 seconds you can flutter onto Twitter or Instagram. I'm no social media addict but it's a shame not to be sharing all the fantastic pictures I'm gathering. But do check in to the usual channels (@TheCloserWeGet on Twitter and Facebook, and 'somewhere.org.uk' on Instagram) occasionally or come back here to stay updated on Chinese dogs, dishes and diversions of all kinds. Our actual premiere is on Monday 14th with my 'Masterclass' on the 16th. In between I am hiking the Great Wall. (Ok, not all of it, obvs). Afterwards I am spending a week hurtling around other parts of China. Here are some other rather interesting things spotted today whilst about the city. Karen has recently been to two festivals with the film, picking up prizes at both! 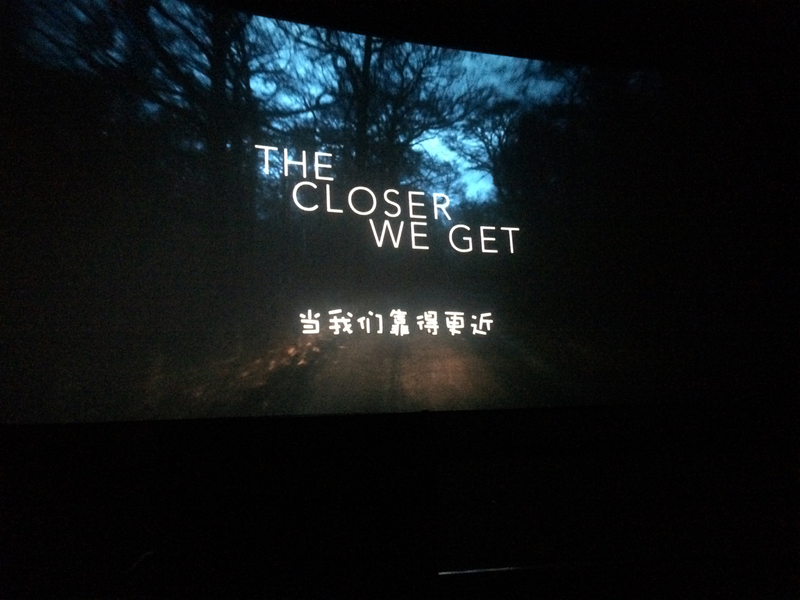 In the Eastern Russian city of Perm, the prestigious Flahertiana International Documentary Film Festival hosted two screenings of The Closer We Get, which was In Competition and was awarded a Special Jury Mention. 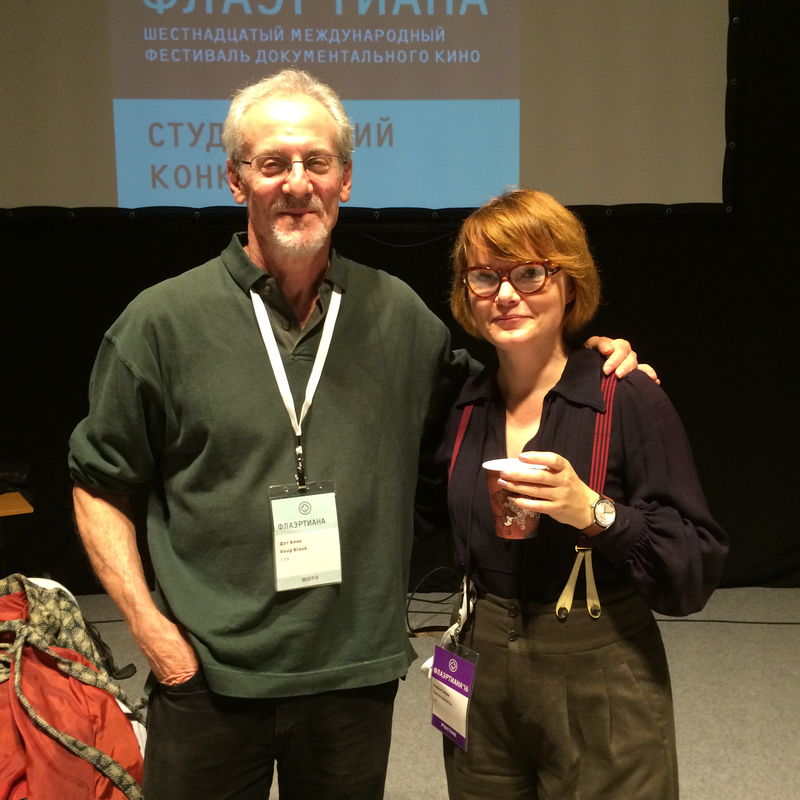 The jury was lead by the brilliant US director Doug Block, with whom Karen also did an impromptu masterclass on personal film making (pictured). During the same festival, Karen travelled to Gubakha, a town in the Urals, to screen to 40 high school pupils who loved the film so much they asked for autographs afterwards ! Other highlights of the festival included a birch twig flagellation / sauna, pickles by Anastasia's grandma, and the discovery of deep-fried sushi - as well as seeing some great films there including Tourism! by Tonci Gacina. Thanks to everyone on the Festival who welcomed the film and Karen so warmly! In Hungary, the Budapest International Documentary Festival showed the film twice and also hosted Karen with great generosity. Again, we were In Competition (and trust us, it was stiff) and this time we won the Official Award of our category. It was also great to see A Family Affair by Tom Fassaert, a personal film that follows in our footsteps by also going to the Scottish Mental Health Arts & Film Festival soon. Firstly thanks for all the great feedback on our long awaited DVD & VOD releases, now available here on our Shop! It's been a long road to this point, and we're still on it, very happily. Greetings - as summer is upon us and we are (unbelievably) entering our second year with the completed film, we have the exciting announcement to make that we can confirm our WORLDWIDE DIGITAL & DVD RELEASE dates! With Pre-Order from this site opening on August 1st - please queue nicely ! Very thrilled to announce one of our favourite film-makers is hosting our post-screening Q & A on this coming Friday Nov 6. Marc Isaacs was Executive Producer on Nina & I's last film 'Jaywick Escapes' and the experience was like a kind of intensive film school course - I always remember his advice that 'You only need to shoot one good thing a day". So for The Closer We Get that was 88 good things - I think I made it! Book your tickets here for this memorable evening. We're VERY thrilled to have been given this accolade from the Scottish Mental Health Arts & Film Festival last week, at a rather smart ceremony at Edinburgh's Filmhouse Cinema. I found myself jogging up Lothian Road in kitten heels to make it in time, having lingered too long with a Guardian journalist on the phone - hence picture of me here in smart dress and shaggy hair making a nervous acceptance speech. 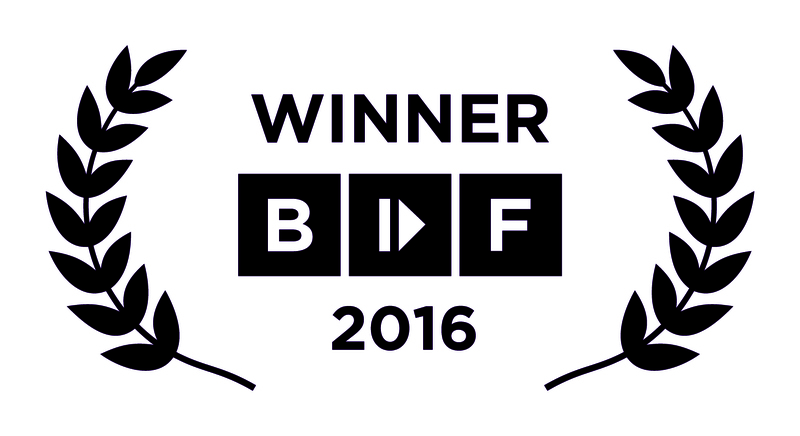 Thanks to everyone on the Festival and jury for this - it means a lot. It was a really proud moment to take the film home to Largs to kick off the Scottish tour last week - many thanks to Largs Film Society for hosting us so warmly and for all the audience who packed out the Vikingar. Big News - The Tour Starts! Dates and venues will be announced very, very soon - so watch this space! We're thrilled to be celebrating 5 years working with the Floating Cinema, with an outdoor free screening of The Closer We Get, on Thursday Aug 20. What was very special was the turn-out from old, old friends, new acquaintances, Indiegogo backers and also from complete strangers who'd heard about the film and have since been contacting me to tell me how it made them feel. I only wish I had had longer to speak to every single one of you, the afterparty at Open City especially was frenetic and such fun - with Nina Pope, and our editor Alice's parents and many many other people I'd have loved to speak to for much longer! Oh, and we won another gong :-) - Best UK Film from Open City! Oh, and we've collected the reviews so far for you to peruse here. What a fantastic week at Toronto's Hot Docs with our World Premiere and then to top it off, winning the top prize too! "In a story told with unflinching honesty and written with poetic precision, this film exemplifies cinematic craft, and a generosity of approach resulting in admirable subtlety and nuance. First person film making is notoriously difficult to pull of off and that is why the jury is delighted to make this award"
For anyone else over there in Toronto too tickets are right here. It's been too long since my last update - as you can imagine, it's busy times getting the final film ready to send out to Hot Docs in Canada - where we premiere on Wed. 29 April & Thurs. 30 April. But it's now officially 'in the can' and on a desk in Toronto - much to everyone's relief! Last week my niece (who also appears in the film) Zoe came back to do some much appreciated interning on the film - in particular we were researching old Canada friends of Ann's who may have lost contact with her since her time there in the early 1960's - this picture above shows here at that time and as she looked later in life. We hope it will jog some memories, so please share around if you can as Ann had such happy memories of her time as a nurse in Toronto - until a marriage proposal from my Dad lured her back home to Scotland! I'm also very excited that our hardworking and very talented editor Alice Powell joins me at the Festival! She will be at both screenings to answer questions about her heroic work on the project and - more importantly - to hold my nervous hand. So if you need to know how to condense 30 years of family life into a great film, she will be there to tell you how she did it! So if any of you have friends in or near Toronto - please encourage them to come along and help make these the special moments they deserve to be! World Premiere at Hot Docs !! It's such exciting news and we are just so thrilled to be able share it now - yes, we are World Premiering in the acclaimed international documentary festival, Hot Docs - in Toronto, Canada! It's an amazing start to the film's journey, and we are looking forward to bringing it closer to our home shores in the UK as soon as we can. We have some VERY EXCITING news coming up for you tomorrow! 'Slowly and surely' is the answer! Sound designer Doug Haywood has been doing some subtle mixing and recording of wheels, dishes and breezes for the soon-to-be-finished sound mix. I've also been doing some final tweaks on my narration and checking and triple checking all the credits and thanks at the end of the film. The submission of the film to festivals starts now too, so lots of form filling over the next few months too…. Lastly, it was very sad a few months ago to hear of the passing away of Jack the cat (pictured above) who kept my family company for many years and patiently tolerated being filmed very often indeed - he's sorely missed. In its final fundraising day I'd like to point you to The Genius of Caring - here on Kickstarter. This project originates in another 'family film' - The Genius of Marian - a son's eye view of a mother with Alzheimer's. This 'offshoot' is a web based interactive story sharing project that features documentary portraits of family caregivers of those living with Alzheimer’s and related dementias and allows users to contribute to a community story archive. The project offers a uniquely intimate glimpse into the caregiving experience and creates a powerful portrait of a community connected through compassion. It's a wonderful idea and you can read more about the film and website here. My brother Mark has been quietly snapping away for a few years now and I have to say he has got a good eye for a picture! Working nights means he's often outside when noone else is and his landscapes are very evocative. He also documented our filming quite a bit, and life with Mum and family all in his own inimitable style - so do have a look at his pictures…..
Whilst working hard on finishing all the film’s post-production, I have been lucky to hold another rough-cut screening with an audience put together by the Stroke Association North West. This included stroke survivors and carers and was really productive - both a forum for sharing experiences and offering support, and for giving us many ideas for outreach and marketing – in other words, getting the film to audiences. I hope we will do many more of these workshops. I’ve also been privately screening the film with members of my family – quite an emotional experience as you can imagine – but all have been very supportive. Maria Duvidzon, out latest and very wonderful intern, has now finished her post with us and we thank her so much for her work of many aspects of the film from logging footage, researching licensing and assisting on the Indiegogo campaign. Many of you will have heard from her in the course of the campaign and we know you will join with us to wish her all the best in her future arts career. The girl will go far! Musician Malcolm Middleton continues work on our film score, creating some really beautiful music for us. My biggest thanks goes to Alice Powell my editor, who has worked for almost two years on and off on the project and far beyond our initial expectations. To take on such a sensitive and personal film, to treat the material - and me! - with such sensitivity and care and yet to always edit with clarity and precision, Alice has been a rock without which the film could not have been realised. I hope the finished film brings her all the praise she deserves for the vision she brought to the project. 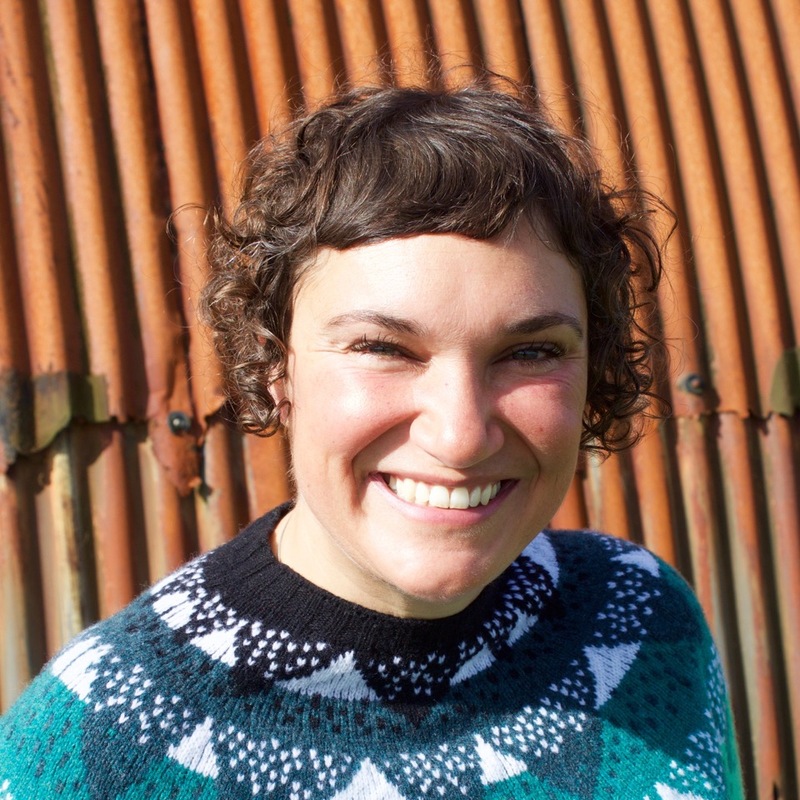 Taking on some of Maria’s work will be my niece Zoe (pictured) who appears in the film and – as per se something of an expert on our family and its archive – will be working with us on the film website in August on its last push before it goes live. In other news we’ve had a very exciting meeting about our future film trailer – it’ll be great to share with you a glimpse of the finished film, and we will announce when it goes live here so you can be the first to see it and to share it. The wonderful Splice.TV are supporting our post-production grade and sound mix – that’s all the stuff that really buffs the film up nicely and Doug Haywood begins his sound design too. These are what much of your Indiegogo funds have gone towards and it’s worth every penny. Lastly, the submission of the film the festivals starts now – the beginning of its journey out into the world! Creatively, I have also been writing and rewriting my narration for the film, sifting through family photos and even reading Ann's medical notes as background research. It's hugely enjoyable, and I will have very mixed feelings when I say 'It's finished' - making this film has been the most immense support during such a traumatic personal loss, and I will miss it hugely when the work comes to an end. The sound design and musical score of the film are being done by Doug Haywood and Malcolm Middleton respectively, and about now these chaps start to really spruce up the film with their magic. Sound 'tidying up' happens first - and this important but discreet process fills in any audio gaps or errors and really 'furnishes' the film - e.g, we might need a door shutting, a hoist moving or Ian whistling at just the right point, and Doug is the person who deploys them to best effect, and then moves on to really designing how the sounds and music of the film really creatively enhance its story. Malcolm has already recorded some beautiful music for us which is working brilliantly and poignantly in key scenes - sparse guitar mainly, tuneful and wistful. A very exciting event takes place next week for us in Manchester - part of the NW Stroke Association's visionary 'Science, Stroke, Art' creative season, which I recommend. We are holding a special private preview of the film with a small focus group including stroke survivors and neuroscientists, who'll give us their reaction to the film and help us brainstorm our marketing and outreach ideas for it. This is a real privilege and we hope it's the start of a wonderful relationship between the film and its audience. We have also had some very positive feedback from a few film festival and TV people - so that bodes well for a festival premiere later this year -watch this space…. My sister Alison has been busy sending out our popular Indiegogo Perk - our Heirloom Cakes baked to mum Ann's home recipes. It's been a delight to get the lucky recipients' feedback and see their photos, like this one (he tells us he shared the biscuits with his workmates)! Hi & I hope you're enjoying spring. It's a been a while since I updated you on the film progress and thanks to everyone who has been in touch lately on email, via Facebook and even old-fashioned talking asking us how it's all coming on. I have even had the pleasure of meeting a few of you recently in person, unexpectedly, which makes it all the better! The short answer is - it's coming on very well and we are very near to finishing. If you have a moment, let me fill you in more though: Our awesome editor Alice Powell has been back in the hot seat on The Closer We Get having finished cutting a feature doc about veteran UK director Mike Leigh which you'll be able to catch soon. We have enjoyed discussing the fashion choice similarities of my father Ian in my film, and Mike in the other - apparently it's all about a blue sweater…. So Alice and I have been fine cutting our film for another month and have just reached what we might hesitatingly call the 'final cut'. So, applause and cakes all round. A lot of cake. Alice has been a trouper. But to give just a teensy insight into what exactly does take so long, let's look at just a few of the many post-production jobs undertaken by our wonderful intern Maria: Amongst her weird and wonderful jobs she is tasked with finding a detailed map of Africa we can use in the film; trying to clear copyright on a Cole Porter song I sing (badly) on film and finding out if we can show a sticker of Winnie the Pooh, filmed in Ann's house, on screen. Crazy, yes ? And that's just the tip of the iceberg. Of course, if we were aiming for a small self-release on YouTube or something we needn't bother with all this legal stuff, but we are really ambitious for The Closer We Get and only by dotting all the i's and crossing all the t's can you make sure the film can get out as widely as possible on TV, DVD / Download and film festivals.